When you experience a traumatic event, those memories become frozen in your mind, never changing, and remain as vivid as the incident itself. 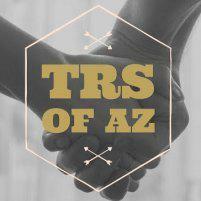 At Trauma Recovery Services of Arizona, located in Goodyear, Arizona, board-certified counselor Jordanna Saunders LPC provides eye movement desensitization and reprocessing (EMDR) treatments to help you unfreeze your memories and process them productively and healthily. If trauma is disrupting your life, call Trauma Recovery Services of Arizona or book an appointment online today. Eye movement desensitization and reprocessing (EMDR) is an emerging type of psychotherapy that is an effective treatment for mental health conditions including trauma, anxiety, addiction disorders, and more. EMDR includes eight stages focusing on the past, present, and future that you move through at your own pace. While much is still unknown about the mind and how memory works, psychological researchers and practitioners understand that trauma changes the way your memory forms and is stored in your brain. Regular memories usually fade with time, but traumatic memories are unresolved, so that every time a memory emerges, you relive the event in as much detail as the day it happened. The treatment combines rapid and repetitive eye movements with talk therapy. Your eye movements stimulate your brain, which enables you to reprocess negative or traumatic memories into a more manageable state. The treatment accelerates your emotional and intellectual processing of the memories, providing you with improved insight and the ability to adjust your mental framework for the memory. For example, if you experienced an assault, EMDR can help you transform your self-perception from being a victim to being a survivor. The eye movements in EMDR enable your brain to reprocess the traumatic memory and resolve your thoughts and feelings about the trauma. While you still remember the event, the memories become less painful and distressing. Your symptoms lessen, and you’re able to adjust your behavior to return to a healthy, active, and fulfilling life. What happens during an EMDR session? During your initial appointments, Jordanna takes your history and reviews the physical logistics of EMDR. Then you begin the therapy in earnest. You start each 50-90 minute session by discussing the previous appointment and how you’ve felt since then. Then during the EMDR part of your appointment, you follow a light or Jordanna’s fingers with your eyes as they rapidly move back and forth in front of you. Jordanna guides you with prompts to hold a memory in your mind while you watch the light. You may take breaks from EMDR during your appointment to give your eyes a rest. Then, at the end of your session, Jordanna guides you through a body scan looking for areas of tension or remaining negative thoughts or feelings. If you want to know more about EMDR and how it can help you, call Trauma Recovery Services of Arizona or schedule a consultation online today.